I started writing this day after the LOST finale episode. I have refused to view any of my favored blogs, boards and forums because I wanted my opinions here however sublime, or completely far-fetched, to be my own as I try to digest what I’ve spent a part of the past few years of my life for. 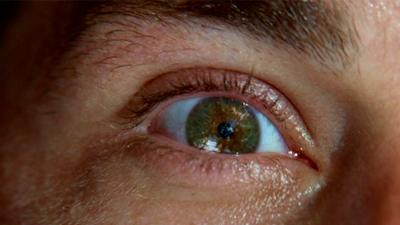 Six years ago on Friday, September 22, 2004, just a few days after my birthday, I received an incredible eye-opening present: the pilot episode of LOST. That most powerful metaphor for the window to the soul, and a symbol used many times throughout the run of the series, opens in a nice quiet lush grove of bamboo. Wait, this guy is lying down on his back in the middle of a bamboo grove, in a suit? And then a dog runs by? Who knew then that those two questions were a mere couple of minutes of “Huh?” in what was to become six years of “WTF?!?!?! ?” By the time this (for the moment) nameless character follows the sounds and makes his way to the chaos of the plane crash on the beachfront, I know, and many will agree when I say, it was not just Jack Shepard’s eyes that were opened. To date, still the most expensive pilot episode in television history, LOST captured my attention from Day One. I have loved television shows before LOST and I’m sure will love some future shows, but I seriously doubt that anything, ANYTHING, will ever come near to matching the unique viewing experience of the past six years that has been LOST. For me, the brilliance of this show was not just in the amazing character development or the unique imaginative and downright insane story lines. Nor was it its amazing ability to give us questions that beget questions that beget questions. Like the survivors them selves, LOST took a most unusual disparate hodge-podge of people, who would have never in a million years have gotten together on their own, and created a community. Yes, a few friends and family have joined to watch a favored television show, but never on this scale. The instant camaraderie of strangers at major sporting events is the closet you can come to explain the immediate kinship between fans of LOST. Flashback to 2006, The NYC LOST Meetup Group, of which I’m a proud member, was formed with maybe a dozen members at the first event. Twelve people who had nothing in common other than a love for a very unique, discombobulated, incredible show. After season three (admittedly the weakest season of the series), if anyone asked me what was going on in a disparaging tone of voice, I knew I had a non-fan in my midst and would refuse to answer. I’m not going to waste minutes of my life trying to explain a show as justification as to why I love it so much because someone else simply doesn’t “get it”. It is spotting someone wearing a t-shirt with the numbers 4, 8, 15, 16, 23, 42 across the front and and immediately smiling. Being a LOST fan is being in an awesome (and yes, proudly geeky) club that only other fellow Losties can appreciate. It is akin to the self-satisfied, near smug look two Mac users will give to each other when in a coffee bar surrounded by PC users. The “we’re a part of something special and they they’re not” feeling. And just like a Mac or a PC, you either loved it or hated it, there was no middle ground. Now, flash-forward to this past Sunday (May 23, 2010). I left a wedding reception, with a friend, to hop a train and go to a bar to join about 150 other NYC LOST Meetup group members at a private event to watch the series finale. Yes, an entire bar was rented just to watch a TV show? -as I’m sure the non-fans rolling their eyes derisively are thinking, Yes, yes I did, and am damned happy about it. LOST dared to give viewers an unexpected look into being human, while also incorporating many religious, philosophical, and metaphysical themes in a way that was unique, insightful, and fun. It has set such a high standard that very few will be able to match in quality. I admit while I still have so many questions wanting answers; I was in no way disappointed in how it all unfolded. The show was always about the characters, and then the overall mythology. Myths have the power they do because there is something about them that always remains something of a mystery. Even while exposing certain truths all myths still belie concrete logic at some level; but it doesn’t make the story being told any less interesting for it. This myth, this fairytale, this “what the hell was that?” versus the “Oh, that’s it!” is what kept us coming back week after week after week. That is what the writers and creators chose to focus on in closing out the finale season, and it works for me. Was it a complete surprise to learn that despite all our vast theories of a sideways time line / alternate reality, all that really happened was the characters were in some sort of spiritual purgatory/limbo on the island until they resolved their myriad individual inner conflicts and could move on? In hindsight, not at all. Granted the show left a lot up to the viewer’s interpretation, and that’s fine. I think the alternate reality was their moment to connect before they finally “moved on” to whatever place their spiritual beliefs dictate. One of the most obvious clues to this went right over my head from the beginning; the name of Jack’s father, Christian Shephard and the characters’ final meeting in a church. As Kate said, “That’s his name? Really?” There were several “D’oh!” smacking hands upside heads sounds as it all made perfect sense in that moment. The plane crashed and everyone died, the “survivors” simply weren’t aware of it yet and were stuck in a limbo somewhere in between good and evil. All of the passengers had their personal demons within from their past lives, thus the flashbacks to tell their stories. In the end, they all found their way upon realizing that they had actually died. When John Locke finally let go, he was made instantly whole because he was already dead…he just needed to realize it to make it to the other side, and this other side was timeless. As Jack’s father stated “There is no NOW here.” Even for Hurley and Ben, who obviously were the island’s guardians for who knows how long, “when” they died — didn’t matter. This “moment” is very much in tune with Christian views where you will meet your loved ones again. Once they realized they were in fact dead, they could all be at Jack’s “funeral” at the same timeless, because Jack was the connection between all of them. See you in another life, brother. Namaste. August 24th the entire series comes out on DVD and Blu-Ray. I know it’s going to be some astronomical price, but I’m going to have to figure out a way to get it. Knowing why there are where they are in the end, does very little to detract from journey taken. I plan on watching it all again.